This high desert forest of unique Joshua Trees is the largest and densest of its kind and is currently inadequately protected. The Arizona Joshua Tree Forest can be found near the west end of the Grand Canyon just east of the Lake Mead National Recreation Area. It’s nestled on the Grapevine Mesa between the villages of Meadview and Lake Mead City, and lies just west of the colorful Grand Wash Cliffs that tower over the eastern edge of the forest. Vacationing on the eastern side of the Lake Mead Recreation Area or traveling northeast from the city of Dolan Springs to the Grand Canyon West Skywalk, you will pass through this amazing high desert forest of unique Joshua trees. 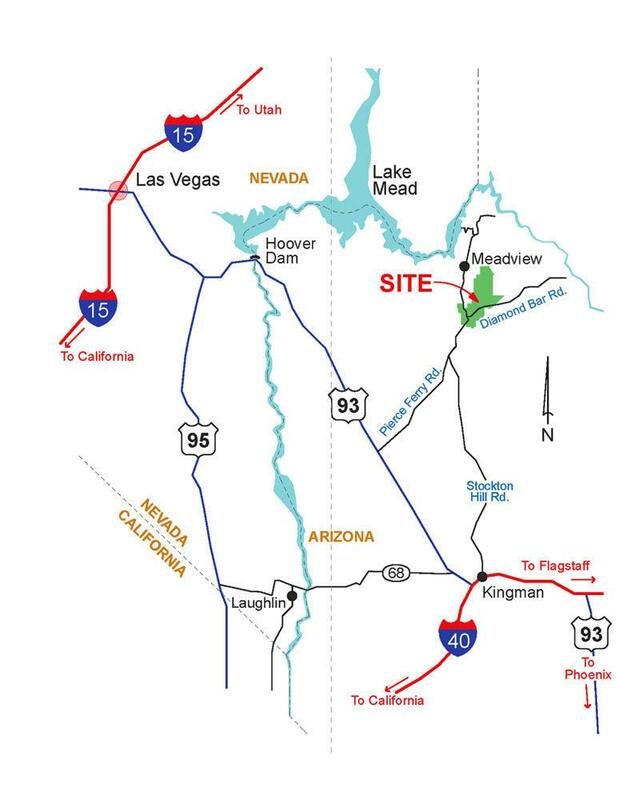 The forest is located 43 miles southeast of the Nevada state line off Arizona highway 93 on Pierce Ferry Road. The Joshua tree (Yucca brevifolia) is native to southwestern North America in the states of Arizona, California, Utah and Nevada. It is mostly confined to the Mohave Desert between 1300 ft. and 5900 ft. in elevation. The trunk of the Joshua tree is made up of thousands of small fibers and lacks the usual growth rings, making it difficult to determine the tree’s exact age. These trees can live for hundreds of years while surviving the rigors of the desert. Joshua trees are fast growers for the desert, with new seedlings growing at an average rate of 3 centimeters per year for the first 10 years. As the trees age their growth slows to an average of 1 ½ centimeters per year thereafter. The average maximum height reaches nearly 50 feet. New trees can grow from seed or in some populations; new stems can grow from underground rhizomes (root runners) that spread out around the base of the Joshua tree. The area also has two other types of Yucca, the Banana and Mohave. They are both bushy plants with long spines or leaves that catch rain and channel it down to the base of the plant. The Banana Yucca plant only grows 3 – 4 feet tall and produces waxy blooms of multiple flowers about 12 inches high. The flowers turn into a banana looking fruit averaging 4 inches long and ½ inch in diameter. This fruit is edible and produces seeds which are spread by birds and rodents. The Mohave Yucca plant can grow to be 8 feet tall and produces waxy blooms of muted purple flowers, which turn to white. The flower stem forms a bouquet of flowers 12 inches tall, which form a round seedpod averaging 1 inch in diameter. The seedpod opens on the plant and birds and rodents broadcast the seeds. Also in the area are several types of cactus including cholla, beavertail, prickly pear and hedgehog. Blooms of beautiful flowers are produced in spring from February to late April. The Joshua trees do not branch until a bloom is formed which only occurs under certain conditions. Each bloom can produce two branches. Like most desert plants, their blooming is dependent on rainfall at the proper time of the year. The trees also need a winter freeze before they will bloom. The flower or bloom forms on multiple limbs in any given year and consists of a 12 to 14 inch waxy white flower clump. The bloom forms an eatable fruit or seedpod averaging 4 inches long and 1-2 inches in diameter. The fruit stays on the tree for about 3 months as it ripens before splitting open and dropping its seeds.Seeds are not always fertile due to the tree relying exclusively on the Yucca Moth to help it procreate. The Yucca Moth flies at night collecting pollen from the stamens, holding a little ball of pollen in her mouth. As she visits other flowers she lays an egg in the seed-box and applies the pollen to the tip of the pistil, thus securing the fertilization of the flower and the growth of the ovules in the pod. No other creature visiting the blossoms of the Joshua tree can transfer the pollen from one flower to another. 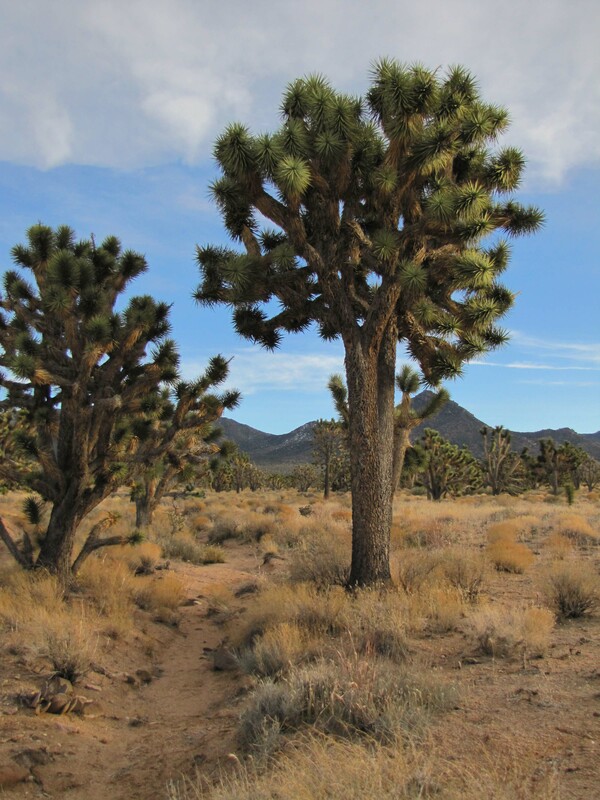 Although older Joshua trees can sprout new plants from their roots, only the seeds produced in a pollinated flower can scatter enough to establish new stands of trees . The Pronuba Moth, commonly called the yucca moth, is a small white moth that lives in the semi-arid habitats where yucca plants grow. The yucca moth is well known for its co-dependent relationship with the yucca plant. The yucca moth’s larvae rely exclusively on the seeds of the yucca as a primary food source and the plant relies exclusively on the moth for pollination. One cannot exist without the other, which creates an obligate mutualism between the moth and the plant. 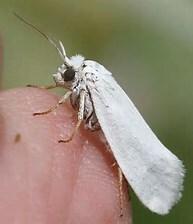 This is true of two out of the three genera of yucca moths, the Tegeticulas and Parategeticula. These yucca moth larvae hatch within several days, with the yucca plant keeping its end of the bargain – providing the fruit for housing the larvae and some seed for food. When conditions are right, ideally soon after a nighttime thunderstorm, the yucca moth larvae leave the fruit of the yucca and drop to the desert soil, where they burrow down, up to three inches. Each creates a cocoon, where it may develop for several weeks to several years before it emerges to renew the cycle. There is one animal, the Desert Night Lizard known to be endemic to and restricted to Joshuatree stands and other larger “Tree Yucca”. It lives under the rotting branches and litter where moisture is retained. 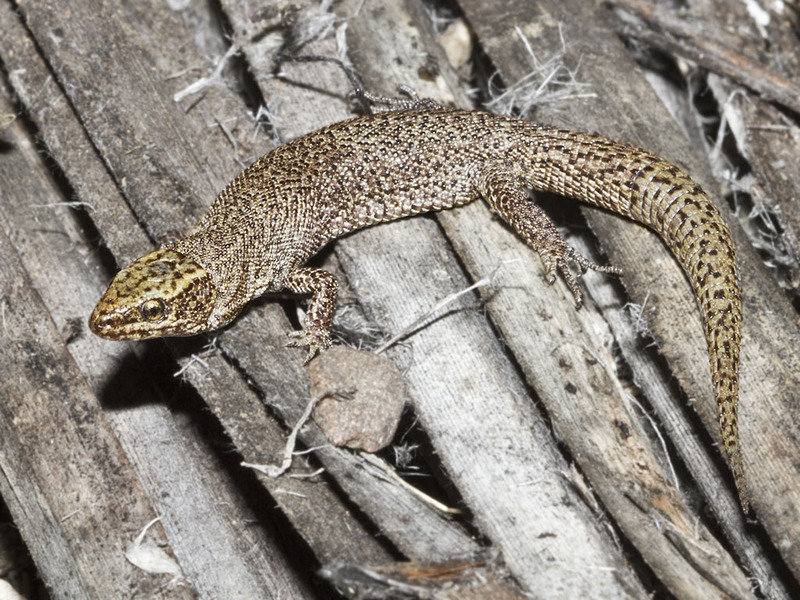 This lizard is also native to the Joshua Tree/Blackbrush community found on Grapevine Mesa. The Arizona Joshua Tree Forest receives about 9 to 12 inches of rainfall throughout an average year, with some snowfall in the winter months. The Joshua trees intermingle with the Pinion-Juniper at the 5200 ft. elevation on Iron Mountain. At around the 4,300 ft. elevation the area becomes more dominated by the Joshua tree. Along the shallow washes of the Grapevine Mesa is where the larger size and greatest number of Joshua trees present a “Forested” aspect. In the lower elevations the other species of desert plants are more prevalent. In this place, an incomparably beautiful “forest” of Joshua Trees (yucca brevifolia) spreads out along the low ridges and shallow washes of Grapevine Mesa south and to the east of the small community of Meadview, Arizona. These are Joshua Trees to write home about! There are a great abundance of these big, old, gnarly yuccas here. This is definitely a visually memorable species. Numerous improbably huge and twisting arms extend outward at all angles from a stout trunk. The ends of the arms are sheathed in a knot of bright apple-green spikes. The older specimens often sport great-buttressed trunks. These great old trees remain full of life and in tenaciously good health surviving as they do, in a very dry land. Why here? Better minds have been mulling it over for a long, long; time, but this small area must somehow provide these Joshua’s with the very best combination of elevation, overall aspect, soil, and rainfall. 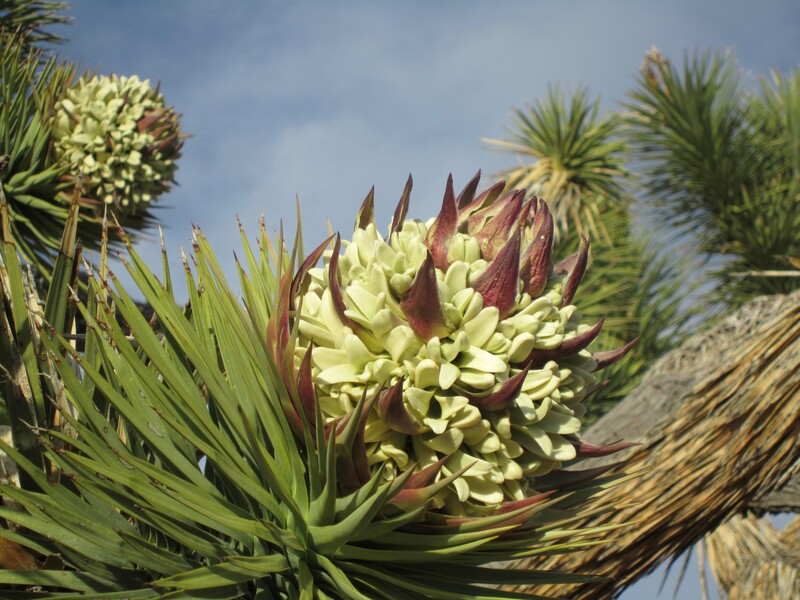 Several plant and insect species occurring within Joshua Tree communities are also known to play vital roles in their reproduction. Within the boundaries of this proposed National Monument, the Mohave Desert (part of a much larger Basin and Range physiographic province) more or less crashes into the southern half of the Grand Wash Cliffs, (which in this area define the western margin of the Colorado Plateau physiographic province). This brightly colored escarpment of very ancient sedimentary rocks looms high above Grapevine Mesa and its Joshua trees, and creates a magnificent and highly defensible visual backdrop. The Grand Wash Cliffs were named by the US Government-commissioned Powell Expedition of 1869. Late in August of that year, Major John Wesley Powell and his crew of explorers and scientists exited the mouth of the Grand Canyon after safely negotiating their little wooden dories down the tempestuous Colorado River during the prior three months. They called the place where they left the river the Grand Wash, and the great escarpment that loomed high above them here, the Grand Wash Cliffs.